Executive Profiles « Fairbanks Capital Management, Inc.
Mr. Ré graduated from the University of Southern California in 1975. He began his career as a financial analyst in corporate banking at Lloyd’s Bank of California. This time period marked one of the worst recession’s in the United States since the 1930’s, and not unlike the present, it proved to be both a challenging period for lenders, and a highly educational environment for financial analysts. Mr. Ré entered the investment business as a stockbroker, working at Bateman Eichler, Hill Richards and Drexel Burnham Lambert. Evolving from a broker to a fee-based investment advisor in 1986, Mr. Ré continued his work at Sutro Investment Management Services and Freedom Capital Management. 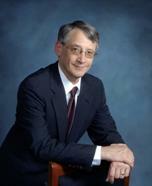 He founded Fairbanks Capital Management, Inc. in 1995. In a business where frequent turnover is the norm, Mr. Ré has achieved an extraordinarily high level of client retention, in fact Mr. Ré’s first major client is still with him after some 35 years of uninterrupted service. Mr. Ré has achieved this outstanding record by serving each of his clients with unquestionable integrity, intelligent insight, and by protecting and growing client assets despite times of rapid change and shifting markets. Mr. Ré is a holder of the right to use the Chartered Financial Analyst designation (CFA®). This designation, granted by the CFA Institute, is attained only by meeting the most rigorous of standards, and demonstrating a track record of the highest levels of professional and personal conduct. Mr. Ré is a former president and member of the Board of Directors of the CFA Society of San Diego and a former president and member of the Board of Directors of the Fairbanks Ranch Association. He recently served on the University of Southern California Alumni Association Board of Governors. In the past he has served as Treasurer of The Bishop’s School athletics support group, and Moderator of his church. CFA® and Chartered Financial Analyst™ are trademarks owned by the CFA Institute. John Shepherd joined Fairbanks Capital Management as Vice President where he will lead the team on all aspects of retail, family office and institutional sales and marketing. John’s passion, work ethic, and individualized approach have led to his recognition as a leading innovator in the institutional investment industry, broker dealer, RIA and Family Office environments. Prior to joining Fairbanks, John served as Managing Director of FA-Nexus, Portfolio Manager for CUNA Brokerage, Wealth Manager in Banking Institutions and Managing Director at Lateef Investment Management. John has also served as a Vice President at Fidelity Investments, Hartford Insurance and MFS. He is a graduate of the St. Anselm College and an honors graduate of the CCNY Business School. John’s experience and expertise in the investment industry have earned him a multitude of recognition. John and his wife Susan are active in the philanthropic community, donating significant time and energy to not-for-profit and policy making efforts. John is an author, golfer, and avid fitness buff. Susan and John’s children Lindsay and Jack work in the investment management industry as well. Chris H. Cho joined Fairbanks Capital Management, Inc. as a Senior Equity Analyst in 2015 and has been in the investment industry since 2004. Before joining FCMI, Mr. Cho was a research analyst at 300 North Capital. Prior to that he was a research associate at RBC Capital Markets and held various investment banking roles at Susquehanna Financial Group and Wedbush Securities. Mr. Cho earned an MBA with distinction in Finance and Financial Accounting from NYU’s Stern School of Business, as well as undergraduate degrees in Business Economics and Mathematics from Brown University. Mr. Cho is a Chartered Financial Analyst and a member of the CFA Institute. Raphael Biderman joined Fairbanks Capital Management, Inc. as a Senior Equity Analyst in 2015 and has been in the investment industry since 1994. Mr. Biderman previously worked for Chase Manhantan Bank where he served as Global Vice President responsible for Latin American Metals and Mining, British research boutique Robert Fleming & Co. where he served as Vice President for Latin America Metals and Mining and Global Steel research, and BBVA and BBVA Bancomer where he was responsible for Latin America Research on Natural Resources, Conglomerates and Telecom sectors. Mr. Biderman has obtained several top rankings by Institutional Investor magazine, as well as several rankings in Brazil such as Agencia Estado, Institutional Investor Brazil and Investidor Institucional. Mr. Biderman also collaborated in transactions such as the merger of Arcelor and Mittal that created world largest steel company, the privatization of Vale, the world’s largest iron miner, the $8bn merger of Nippon Steel subsidiaries in Brazil, as well as numerous rights offerings such as the US$12bn secondary placement of Vale. Mr. Biderman earned his Executive MBA from Harvard/IPADE, completed graduate coursework in accounting at FGV Brazil, and earned his undergraduate degree in electrical engineering from the University of Sao Paulo. Natalie Rones joined Fairbanks Capital Management, Inc. in 2017 as Client Services Manager, and currently supports our client services and operational management efforts. Mrs. Rones brings true dedication to client satisfaction a background in financial services, and a warm, bright smile to our company. Tony Ré joined Fairbanks Capital Management, Inc. in 2009, initially serving as Director of Client Services. Ré is a veteran of the real estate investment business, a diligent executive and successful entrepreneur. Ré has been party to over $1 Billion in real estate transactions, and successfully formed, launched and grew a multi-unit retail business. Recently Ré has developed and grown Kingsbury Financial L.P. (KFLP) and its syndicated multi-housing investment business. Ré is a 2002 graduate of the College of William and Mary, in Williamsburg, VA. Additionally, Ré is an elder in his church and serves on the boards of directors of ScholarLeaders International and Urban Youth Collaborative.